Can’t use drawers above Scout’s bed. Make a shelf. Holes on sides and back in center to use with clips for shelf. Good storage space for small area. Great addition with pet cozy. Dog Beds can be so much more than a pillow on the floor. 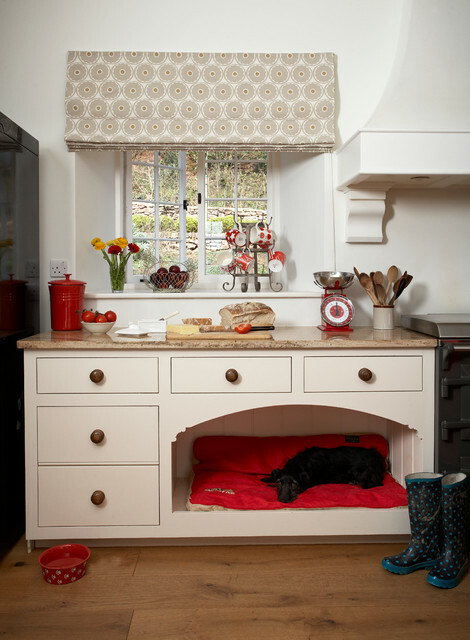 This little doggy's bed is tucked away out of the way from being disturbed from the family's hectic life.